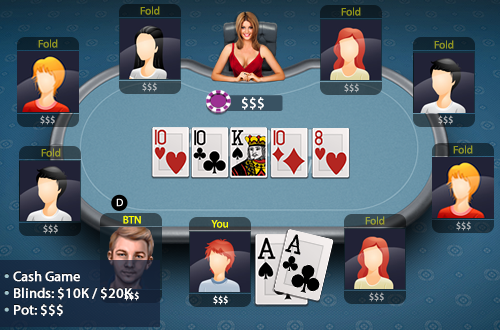 You’re playing a 9 handed cash game, and seated in the cut-off. The blinds are $10K/$20K and you’re heads up. You are holding AA on a 1010K108 board and your opponent has been calling your bets on all streets.